Yes, I know, it’s been a while, well, I’m back. Who missed me? Lol. Welcome all new followers and to the old ones, thank you for still sticking with me. Anyway, today, I’ll be writing on opinions. Before I go further, last week Thursday was my graduation. It went well and I was happy I’m finally done with that phase of life, now I’m off to greater heights. The next stage is the 7 months training I am to do, before I do my internship. I really can’t wait to be done and get my license. Back to the subject at hand. So, according to the Oxford dictionary, opinion is a view or judgement formed about something, not necessarily based on fact or knowledge. Everyone has an opinion about something. Sometimes we meet people and we form an opinion about them or we think about things and we form our own opinions on them too. Our opinions just like Oxford dictionary put it might not be necessarily based on fact or knowledge. Everyone has a right to form an opinion on something, regardless of whether you think they are wrong or not. To them, they are right. Opinions are influenced by various factors. These include but are not limited to family background, experiences in life, hear-say, literacy and so on. Sometimes, when I hear some people’s opinions about some things, I just marvel at the level of stupidity it has but then again, it’s not mine and who knows? People might see mine that way sometimes. What am I saying? If you don’t like someone’s opinion, I think it’s better to reason with the person to understand why the person has formed such an opinion. At the end, you might learn something and other times, you still will not agree and that’s fine. One thing I think people should stop doing is insulting someone outwardly because the person expressed his/her opinion and it was contrary to theirs. I myself am guilty of this sometimes, but I try to be better. If you think someone’s opinion is stupid or does not make sense, you can say it inside of you. You don’t have to come out to insult the person on how stupid you think they are and probably involve their loved ones or so. It is not nice at all. Besides, you don’t know what made the person think in such a way. Probably if you engage such a person in a nice way, you might understand to an extent what the person is saying or still might disagree with the person. Another thing people do is to enforce their opinions on others. I don’t think that’s good. It’s like if you don’t accept their opinion, you are senseless. Sometimes they go on and on arguing on why you have to accept it. I used to be very guilty of this but now, I’ve learnt to just chill. If I explain my point to you and you still don’t agree, I just leave it. I can’t impose my opinion on you. Sometimes at that moment, you might not agree with the person but when you get back home or drop the call or whatever, you begin to reflect and think about it. Words are indeed powerful. What is the summary of all these long story? Well, if you are airing your opinion, do that politely, calmly and without insulting others that have contrary views. Also, don’t impose your opinion on others. You can explain why you are of such opinion and that’s fine. When it comes to Christian talk where some people disagree with you, sometimes the Holy Spirit helps to convict them of the truth, you can’t do it alone. I hope we learn to respect other’s opinions. There’s something the bible says in proverbs about a gentle answer turning away wrath. The way you approach things usually tells the outcome. There’s also something someone said on the Blogger Support Group (BTW, if you are not part of it, I’d advise you to join. You will surely pick one or 2 things from there), and I felt that would be a nice closing for this post. 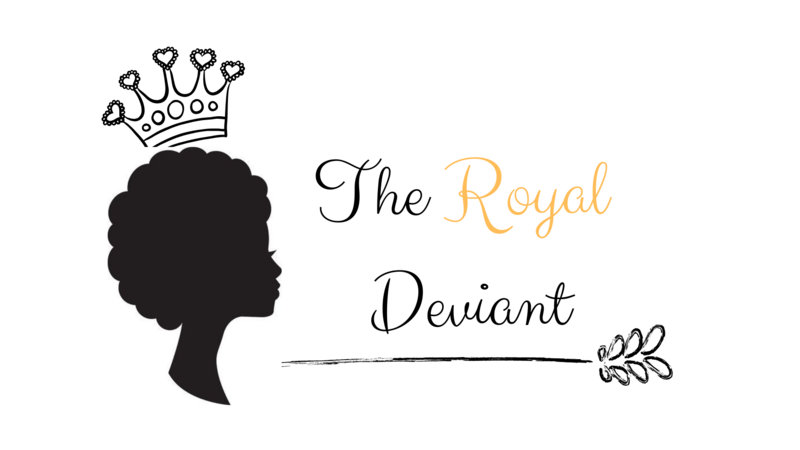 BTW, if you are yet to follow me and you want to see more of The Royal Deviant, please click the subscribe button down below (If you are viewing from a phone) or by the side bar (if you are viewing from a laptop). Nicely said dear. The best we can do is to respect people’s opinion and as well be conscious and diplomatic about ours. What makes us different from animals is our ability to reason differently and can you imagine how boring the world would be if humans reason alike? Yes dear and thank you! Congrats on your graduation girl! Tolerance is a key principle we all need. Congratulations 😤 on your grad. Definitely come a long way. What school are you graduating from? Everyone is entitled to their opinion.. That’s like my favorite argument but if you’re carrying a wrong mindset around, I believe I can also tell you that I believe your mindset is wrong. I was just thinking…… ‘is having an opinion necessary to live?’ : No. I love when I sleep into my ‘no opinion self’ ; its just liberating. 😂 that’s funny. Well I really dunno if it’s necessary to live but sometimes, we can’t help but form opinions. Thanks Clare for stopping by. Inasmuch as I agree with this write up, I’m still strongly obliged by my intuition to call out some people. Their opinions on matters concerning humanity is just plain stupid. Thanks for attending my ted talk.